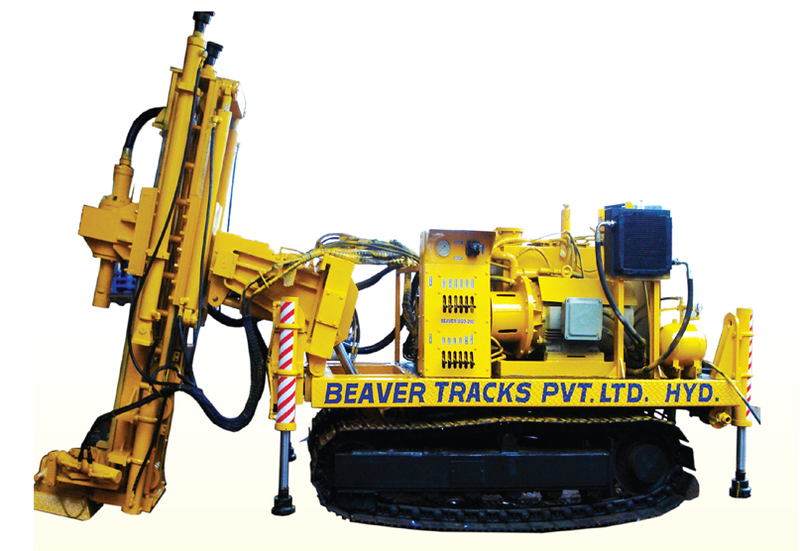 BEAVER UGD 200 model, Crawler mounted Top drive DTH Production drill rig is capable of drilling in different formations such as medium to Hard Rock by DTH method, Unconsolidated / alluvial formations using Air/Waterflush, up to a depth of 150 Meters. (Under favorable drilling conditions). Anchoring Cylinder : ∅ 100 Anchoring Cylinders are provided for stability of the mast while drilling.